LAYERED VINTAGE LUXE TURNS ONE! Ola! LAYERED VINTAGE LUXE TURNS ONE! It's LVL's First Blog Giveaway! 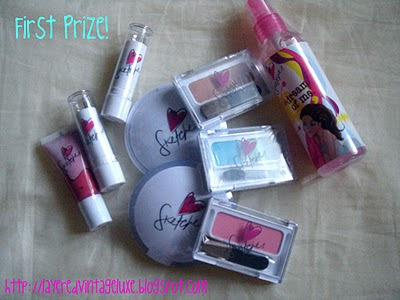 After attending the Natasha Beauty Soiree, LVL was very blessed to have them sponsor a blog giveaway for her readers. Most of the loots to be given away are from Sketches, Natasha's make-up line made for teens plus some of the free samples we were given at the Beauty Soiree. Sweet huh? Here are some of the loots!